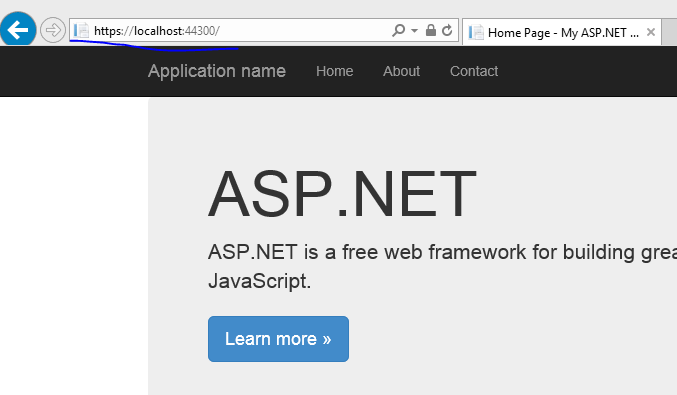 Say you have a .NET MVC or Web API project and you’d like to run it on SSL. In other words you’d like to start up the project on a URL similar to https://localhost:xxxx. 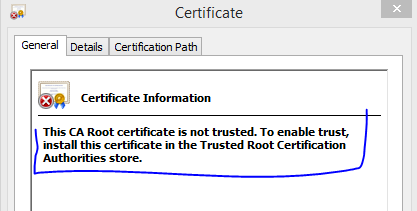 The message also provides the solution: the certificate must be imported into the trusted root certification authorities folder. You’ll see that as a folder in the same snap-in just below “Personal”. So how can we do that? Right-click the certificate, then select All Tasks, Export… from the context menu. Click Next on the certificate export wizard. Leave the “Do not export the private key” option untouched, click Next. Accept the default on the next screen, i.e. “DER encoded binary X.509” should stay selected, then click Next. Then you’ll need to provide a name and a location for the exported file. 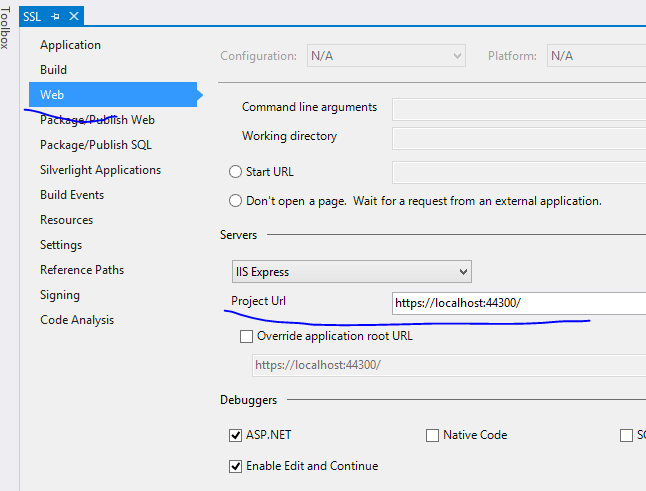 Call it “localhost” and save it in a location where you can easily find it. Click Next and the Finish. There should be a popup message saying that the export was successful. Next right-click the folder called Trusted Root Certification Authorities and select All Tasks, Import… from the context menu. 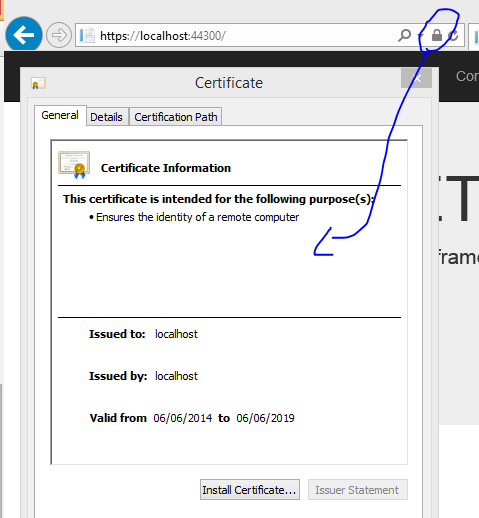 Leave the “Local Machine” option untouched in the certificate import wizard, click Next. Browse to the certificate you saved just before. Click Next and accept all the default values along the way until you reach the end of the wizard. There should be a message saying that the import was successful. Awesome Andras, u saved my time. Thanks a lot Andras Nemes, this information helped me a lot !! 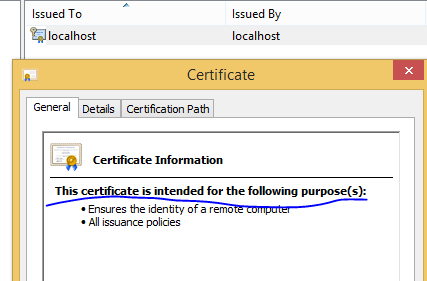 Using Windows 10 and going to Start and typing in cert I was able to get to the Manage Computer Certificates part of the Control Panel. Supposedly the in the control panel though I couldn’t find it directly using that, but clicking on it after it popped up in start as I just described got me to the snap-in you mentioned. 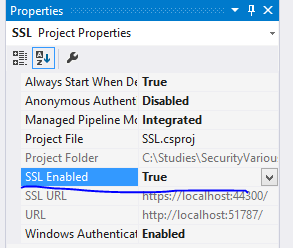 For future searchers: HTTPS SSL Certificate stopped working with Visual Studio when debugging localhost. You fixed my problem, thank you! Thanks, I get used to going through the various BS answers till I find a work around or a series of work arounds that cure the immediate symptom. Your solution resolves the problem without witchcraft or magic beans! Good work! Thanks – your clear explanation saved me time! Thanks! really helped me out. Splendid. First article online about this that really makes sense. Thank you. I’m unable to enable SSL in the project property window. I’m getting the following error. Error: Cannot write configuration file. Note: My project files are saved on One drive for business. Thanks a lot – Andras Nemes. Great help. Tack så mycket. I still can’t get it working in Chrome, or Firefox though, only in Internet Explorer and Microsoft Edge. 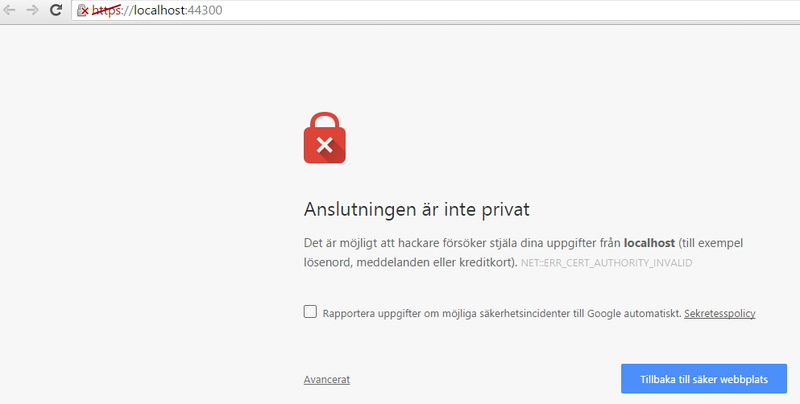 I tried refreshing the page in chrome, clear the cache (Ctrl + Shift + R), open Incognito Session, restart the computer and clearing the SSL state. Still not working in Chrome :(.